Located in Safadarjung Enclave, Ambica Palace is a budget hotel which offers comfortable stay. Safadarjung Tomb, Moth ki Masjid, Shish Gumbad and Lodhi Garden are located in close proximity with the hotel. 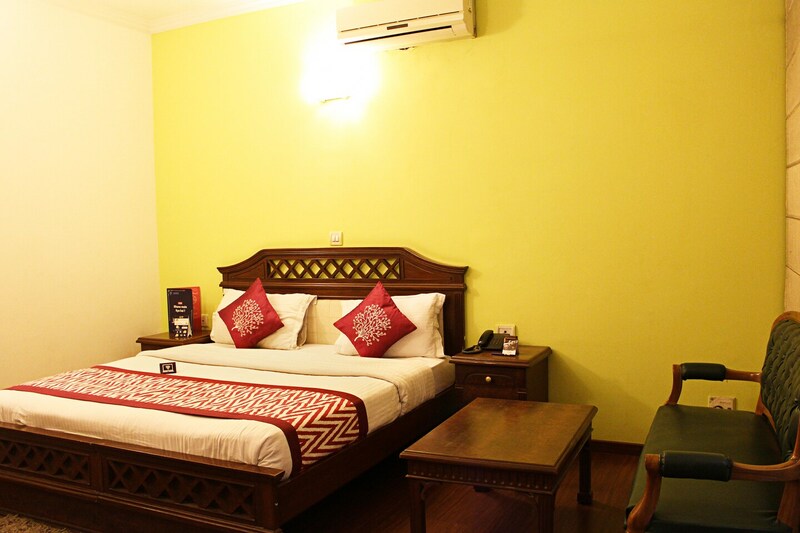 The rooms are a spacious, cozy and bright and decorated with wooden, tasteful furniture. The hotel houses a banquet hall for large gatherings. Palace provides free Wi-Fi, air conditioner, elevator, parking facility, television and geyser to all guests. There is also a seating area, wardrobe and attached bathroom.There are some amazing eating joint around the area like Aye 1 Express, Rajinder Da Dhaba, Aye 1 Cafe, Sugar Loft and Dirty Apron. Vivekanand market., Pottery market, and RK Puram market are also located close by.